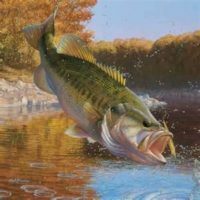 You will need to bring your own fishing poles, but bait will be provided. All those fishing who are 16 years of age or older need to have an Ohio fishing license. Swim test can be taken on May 19th with the troop. There will be a stipend paid to all approved drivers, with a gas allowance. We will be Troop tent camping on Friday and Saturday night. Please bring your normal warm weather camping gear, along with Rain gear. Storms pop up out of nowhere along the lake. Be prepared.